Srinagar: Four local militants of Lashker-e-Toiba (LeT), including a top commander, were killed and four security force personnel were injured in a fierce encounter which ensued during a Cordon and Search Operation (CASO) in south Kashmir district of Pulwama on Monday, official sources said. The operation has ended, they said, adding there were some clashes this morning at some places when youth hit the streets. Situation is normal, though tense, they said, adding the mobile internet service has been suspended in the district. Officials said troops of Rashtriya Rifles (RR), Special Operation Group (SOG) of Jammu and Kashmir police and CRPF launched a joint search operation at 0200 hrs in the wee hours of Monday following a tip-off about the presence of militants at village Lassipora in Pulwama. However, when the security forces were moving towards a particular area in the village, militants hiding there opened fire. The fire was returned ensuing in an encounter. They said four militants of LeT were killed while a large number of arms and ammunition were recovered from the slain militants. 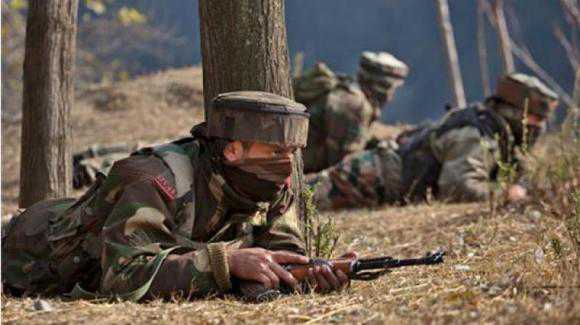 Three soldiers and a SOG jawan were injured in the encounter.